The Orcas Island 50k is sold out for 2019, and registration for the races Lottery is between August 1st and August 10th of every year. This preview is intended for the August 2019 and lottery registration for the 2020 race. Orcas Island 50k has so much to offer for participants supporters alike. 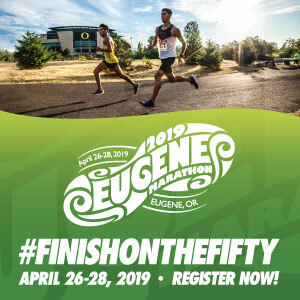 Put on by Rainshadow Running, whose events are known for showcasing some of the most beautiful but challenging race courses in the Northwest, host this spectacular 50K as well as many other events (there is a 25K the week before and a 100M the following week). 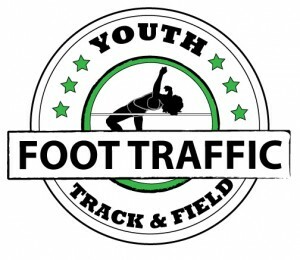 Registration is available between August 1 and August 10th of the year prior to your intended race date. After registration closes, participants are chosen through a lottery. Runners will be announces no later than August 15th. When registering, you will be asked to enter a credit card number. That card will only be charged upon your name being chosen in the lottery. Since the lottery setting can be difficult to plan, a group registration process is available. If you are hoping to run with a group of friends, you and your party can choose the “group” setting on Ultrasignup. This will give your party one ticket for the lottery. So that, if you party does not get drawn for the lottery, no members of the group get a race entry. Yet, this option helps those traveling from far away have a more predictable racing experience. This breathtaking course traverses 30 + miles of Orcas Island, the largest of the San Juan Islands off the coast of Washington State. The 50K includes 8400 feet of elevation gain. This race runs through Moran State Park. The start and finish line are at Camp Moran off the shores of Cascade Lake. As the race begins, participants head East towards Mountain Lake. The first aid station will be along the banks of mountain lake around the 5.1 mile mark. This aid station allows crew access but there is limited parking (carpools encouraged). After a lollipop loop West of Mountain Lake, including switchbacks and high-elevation views, runners will return around the Southern side of Mountain Lake. The course then takes runners to the northern boundary of the State Park, looping around the banks of the Twin Lakes, to the top of Mount Pickett where the second aid station will be found around mile marker 13.3 (no crew access). Runners will then head back towards Camp Moran, looping around Cascade Lakes west side. The third aid station will be at the North Arch around 20.3 miles (crew access OK). Runners will then go around the north side of Mount Constitution and climb the west side of the mountain. This final aid station will be at the top of Mount Constitution, at the stone lookout tower around mile marker 25.6 (crew access dependent on weather and driving conditions). Runners will then near Summit Lake and head back down to the finish line 30.7 miles reaching Camp Moran once again. (note: due to this information being a year in advance, race details are subject to change in 2020). Drop bag access with be at the mile 3 and mile 4 aid stations. There will be tarps located at those locations where runners can leave their bags (including bib number, name, and aid station). Weather proofing these drop bags is recommended. Aid stations will have basic food and drink found at typical trail ultra stations including peanut butter and jelly sandwiches, fruit, GU, and water or soda. In an effort to reduce race waste, reusable cup will be available for participants or runner may use their personal drink containers. Staying in the park can round out this incredible race experience, perfectly. There is a retreat center that will be rented by Rainshadow Running, that is heated but those staying will need to provide their own linens. There is no camping at the start/finish line, yet other sites are available in Moran State Park at a first come, first serve basis. There are other local lodging options recommended be Rainshadow Running that can be found on the race website. The post-race celebration will include wood-fire pizza will be cooked all day and served (vegan and gluten-free options available), libations and other eats include snacks, kombucha, coffee, and beer with a side of live country music. Come for the run and stay for the post-race party.